Through John Sayers, we have just received a donation of a ledger containing a wealth of advertising material for Mantle’s Flour – a rare survival. John has kindly sent us this post contextualising the volume. An archive of Ashby-de-la-Zouch material brought back to England from Canada is one of the most recent additions to the Johnson Collection. A thick ledger, with Mantle’s Flour ephemera tucked and in some cases pasted into it, is a slice of a late Victorian business, with two photographs and numerous business documents and advertisements. The archive was donated by a Canadian who acquired it in Canada. Reportedly, it was brought to Canada about 1900 by the son of the owner of the British business, who emigrated to London, Ontario and set up a business there. A single artifact in the collection is from that Ontario business, and suggests that its products included flour, but went beyond it. We have no information as to what became of the Canadian business. Apparently, the British company, Mantle’s Flours, advertised extensively, and striking posters attest to this. 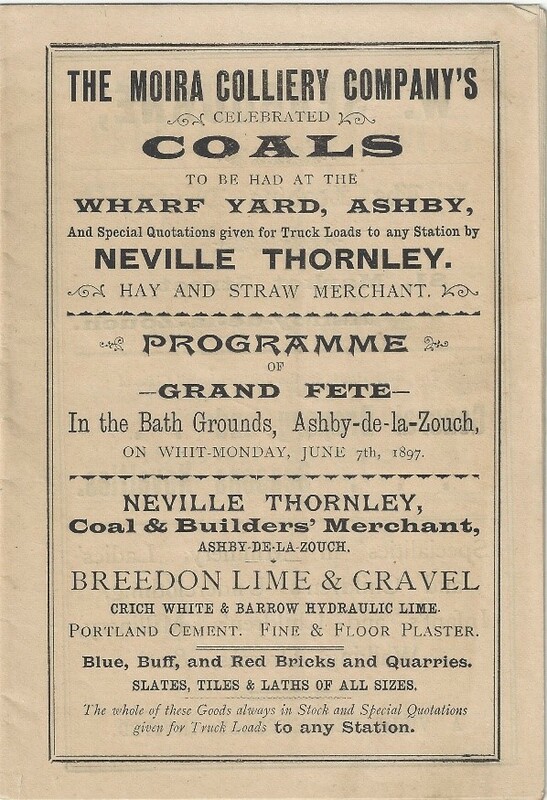 An 1897 16-page program for a Fête carries a profile of many of the businesses in Ashby-de-la-Zouch in the form of advertisements. 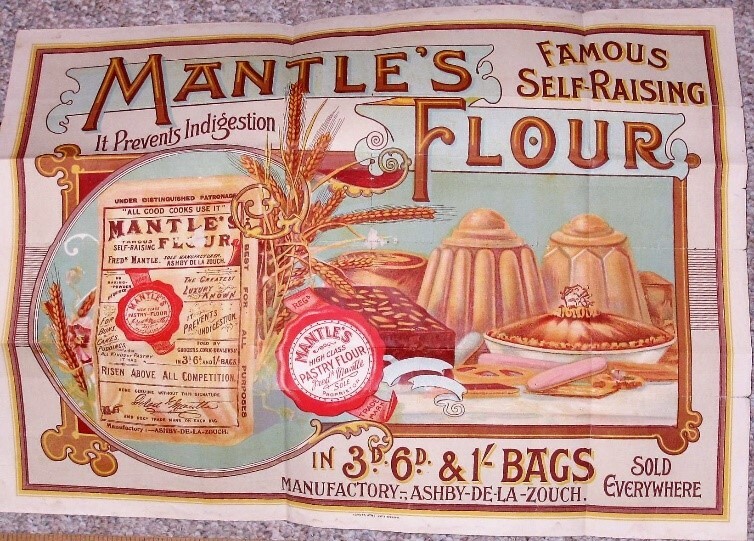 Size of the advertisements varied considerably by business, and the largest advertisement of all – a full page – was by Mantle’s Flour. Late Victorian design styles and techniques are illustrated throughout the material. Not only typography but also colour played a significant part in making some of the material very eye-catching. The illustration, a poster with one corner tipped in to the ledger page, provides a fine example of the impact of graphics and colour. For the student of business in Ashby-de-la-Zouch, or for that matter Victorian local businesses generally, the advertisements cover much of the spectrum of late Victorian product and retail enterprise. The Program for the Fête also describes late Victorian entertainments that were provided to attendees throughout the day of the Fête. By today’s standards some of them were ‘politically incorrect’. There are no accounting records or financial statements in the archive. What we see is essentially what the public saw. From this writer’s experience, this is relatively unusual. Financial records lend themselves to being saved because they are already in chronological order. 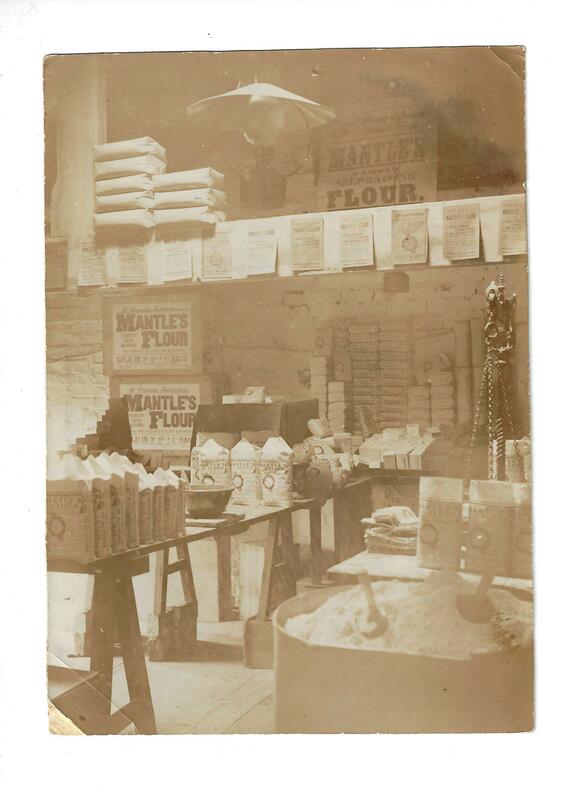 The Mantle’s Flour records are not in any specific order and can be dated only as far as to the decade. However, they are focused in one ledger and are in fine condition. What a wonderful business and social ‘find’!